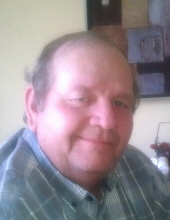 Jerry W. Welch, age 65, of Warsaw, MO, passed away on Friday, February 1, 2019, at Lake Regional Hospital, Osage Beach, MO. Jerry was born in Angola, IN, to Jerry H. and Velma ‘Booker’ Welch. He married Teresa Kelley on May 12, 1981, in Warsaw MO. After graduating high school Jerry served in the U.S. Army during peacetime, after being honorably discharged from the Army Jerry was a self-employed business man. He enjoyed hunting, fishing, gardening, and most of all building and flying his airplanes. He loved spending time with his grandchildren. Jerry is survived by his wife Teresa, his sons Shawn Goff, Kelly (Mary) Welch, and Jeremy Welch; grandchildren, Jackson, Ian, Anthony, Alyssa, Shannon and Crissy; 4 sisters Pam Gardner, Debbie Buchanan (Eddie), Miah Higbee (Bill), Dorinda Liebl (Jim), brothers Doyle Welch (Tammy) and Richard Knuckles, a host of nieces, nephews, cousins and friends . Jerry was preceded in death by his parents; a sister, Becky; his nephew, Dave; and his brother-in-law, Neil. The family will receive friends at Consalus Funeral Home on Friday, February 8, 2019 from 10:00-11:00 AM. A graveside service to follow at Sunny Side Cemetery, Benton County Missouri with full military honors. To send flowers or a remembrance gift to the family of Jerry W Welch, please visit our Tribute Store. "Email Address" would like to share the life celebration of Jerry W Welch. Click on the "link" to go to share a favorite memory or leave a condolence message for the family.